Cars.com drivers give the Jaguar F-TYPE 5 stars for its beautifully designed, luxurious cabin and strong performance. The F-TYPE interior provides high-quality materials and amenities like heated and cooled seating, adjustable seats to reach your preferred comfort level, and configurable lighting to choose the color you like best to illuminate the interior. The F-TYPE also ensures a smooth ride with its upgraded features under the hood. Feel the difference when driving through the Melbourne streets in your new F-TYPE. For more information please look at our Auto iPacket... it really has so much information on the exact equipment on the one you're looking at. Call or email us for any further questions about an unit.. Just give us the stock number when you call  610.436.0600.Gray Metallic 2018 Jaguar F-TYPE R-DynamicBluetooth / Handsfree Calling.RWD 8-Speed Automatic 3.0L V6 SuperchargedFor more information please look at our Auto iPacket... it really has so much information or exactly the equipment on every car. Call or email us for any further questions about an unit.. Just give us the stock number when you call. 610.436.0600. For more information please look at our Auto iPacket... it really has so much information on the exact equipment on the one you're looking at. Call or email us for any further questions about an unit.. Just give us the stock number when you call  610.436.0600.Santorini Black 2018 Jaguar F-TYPEBluetooth / Handsfree Calling.AWD 8-Speed Automatic 3.0L V6 SuperchargedFor more information please look at our Auto iPacket... it really has so much information or exactly the equipment on every car. Call or email us for any further questions about an unit.. Just give us the stock number when you call. 610.436.0600. For more information please look at our Auto iPacket... it really has so much information on the exact equipment on the one you're looking at. Call or email us for any further questions about an unit.. Just give us the stock number when you call  610.436.0600.Santorini Black 2018 Jaguar F-TYPE R-DynamicBluetooth / Handsfree Calling.AWD 8-Speed Automatic 3.0L V6 SuperchargedFor more information please look at our Auto iPacket... it really has so much information or exactly the equipment on every car. Call or email us for any further questions about an unit.. Just give us the stock number when you call. 610.436.0600. 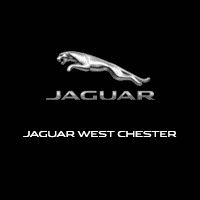 Visit us at Jaguar West Chester for the F-TYPE! If you want to test drive the new F-TYPE, contact us at Jaguar West Chester. We can help you find the vehicle that’s best for you within your budget. Have a vehicle in mind? Check out our lease deals or financing options for your next new vehicle. Don’t have a vehicle in mind? Compare the Jaguar F-TYPE vs. Chevy Corvette to check out the competition, then come in and view the rest of our inventory!